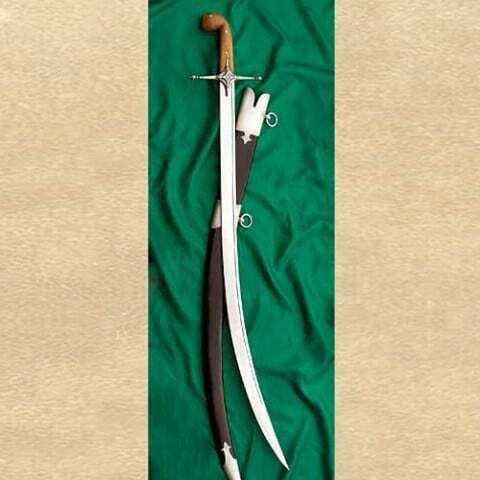 The original style called a shamshir (lion’s tail) was too deeply curved to be effective as battle weapon. Developed in Persia this is a more practical version able to draw cut and slash with the point also being of more use. 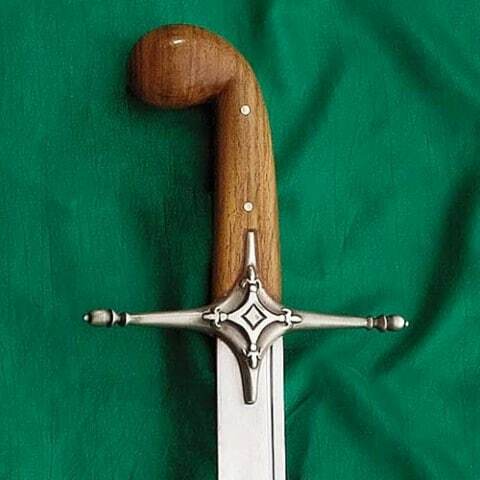 Wood grip with with steel guard and scabbard furniture. High carbon curved steel blade 77cm x 3cm x 0.5cm. Overall length 91cm. Weight 0.7kg.